Thank you so much to Nikki for hleping us plan an amazing vacation. We apprectated your assistance in helping us find the right resort for this trip. It was so reassuring knowing that we could contact you through the travel app with any qeustions we had. We loved how you checked in with us a few times during our trip, it helped us know that we were not traveling alone and if needed backup was only a message away. My husband and I were looking to take a vacation and we simply love Mexico so again decided to go back. We got married 7 years ago in Riviera Maya so needless to say Mexico holds a special place in our hearts. We traditionally stay at smaller boutique style all inclusive adults only resorts however this time we decided to do something a bit different! Let's just be clear we stuck with the ADULTS only part :-). We decided to stay in Cancun this time around and thanks to Nikki we chose the Riu Palace Las Americanas. I was a bit nervous to try a significantly larger resort but thought as long as their are drinks, pools and food we'd be good. We were picked up from the airport by a shared transfer and arrived at our resort at 1:00pm. The lobby was truly amazing. It overlooked the infinity pool and just over that was the beautiful blue ocean! The woodwork and paintings in the lobby were spectacular as well. We were greeted with champagne and a very friendly staff going above and beyond to help us and get us checked in. Once checked in they brought our bags up to our room. We stayed in an Jr. Suite partial ocean view. A fabulous room to us isn't that big of a deal. We have stayed in Villas, have had our own private pools and hot tubs etc. A basic room is fine for us as well. The room was clean, big and very welcoming!!!. The bathroom was huge which was a nice plus!!!!! This resort while bigger than where we've previously stayed kept things close together so it didn't feel so big. There were 3 pools. 2 infinity one regular. Two were quieter pools while the other had lots of music and action. The service around the pool for drinks was awesome! It wasn't packed but busy for sure. The swim up bar was covered so it was nice to get some shade as well!!!!. There was also another bar in the big pool area to get drinks at as well, though you really never needed to get up because the service was incredible. The activities team who did volleyball, games, dancing lessons, etc was friendly, funny and very professional as well. Onto the best part the food!!!! Like I said before we have been to a lot of all inclusive places and this place by far has the best food ever! The selection was out of this world. I am a vegetarian so it's usually salad and past for me at places like this. Not here. EVERY SINGLE DAY they had an entire vegetarian selection at the buffet hot and cold! Fried chick pea balls, tofu done several ways! I was so impressed. What I liked about this resort as well were the food options all day long. There was a 24 hour food café, buffet style so if you were hungry in between meals you could run in there. They changed it breakfast and lunch. The restaurants were NO reservations which was awesome as well. They too were very accommodating to my vegetarian requests. ALL restaurants were also open every single night which you normally don't get with most places. That was another plus in our book! I hate to plan on vacation as one of the reasons we go on vacation is to break free from the normal planning and everyday life! 5 star rating from us for this resort! Great time, great escape, the beach had a pier on it so you could walk out as well!!!! Oh Almost forgot. There were 2 other Riu resorts one you could walk to next door that you could also go to if you wanted. They had a sports bar next door if that's more your speed. We didn't visit but heard people talking about it! 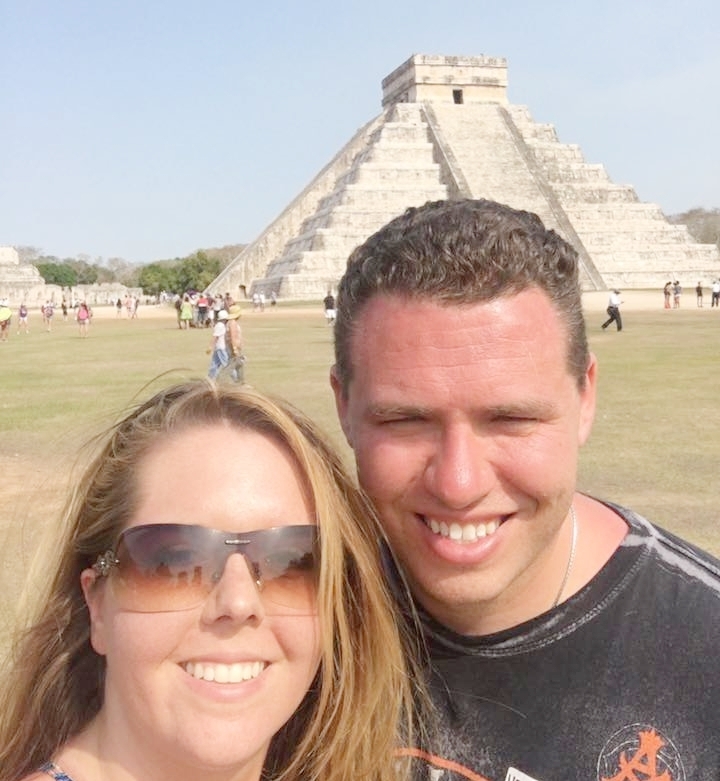 My husband and I recently arrived back home from our amazing trip to Riviera Maya. When we originally talked about planning a trip and talking about where we wanted to go we weren't sure where to even start. While we were trying to figure out where to go I told Chris we should contact Nikki for help planning our vacation and oh my goodness are we so glad we did! She made our whole vacation planning process so much easier. After answering a few questions she was able to provide us with ideas for places we could go. After talking, we decided that Mexico would be the place to go. The fun part was choosing where and when. Of course, she gave us amazing and beautiful options all that would have been great for our first trip to Mexico. We ended up choosing The Hard Rock Rivieria Maya and never looked back. Nikki was able to book our room, flights, transportation and excursions...we didn't have to do any of the thinking and worrying which as we all know is the most stressful part of going on any vacation. When we got to The Hard Rock we were instantly welcomed and given a margarita...which I might add was one of THE BEST ones I have EVER had! The staff was amazing and definitely made sure we didn't lift a finger and had anything and everything we wanted. We eventually made it up to our room and the view alone was amazing! We stayed in the Sky Terrace suite that they offer and it was absolutely perfect! Anything you could ever want in a room while away from home was there. Our room faced the Ocean so it was wonderful to get to wake up to that view every day. Their beaches and pools were great. We never had to worry about not having a chair to lounge and relax on while soaking up the sun. The servers made sure you always had a drink...in my case one made sure I always had three Coronas not sure why, never ordered anything, but he brought them to me anyways and continued like clockwork the entire time we were lounging by the pool every day. Their food was great at the entire resort. We did not have a bad meal at all. They definitely pay attention to detail when it comes to plating and the servers take very good care of you. During our stay, we had decided to do a couple excursions. 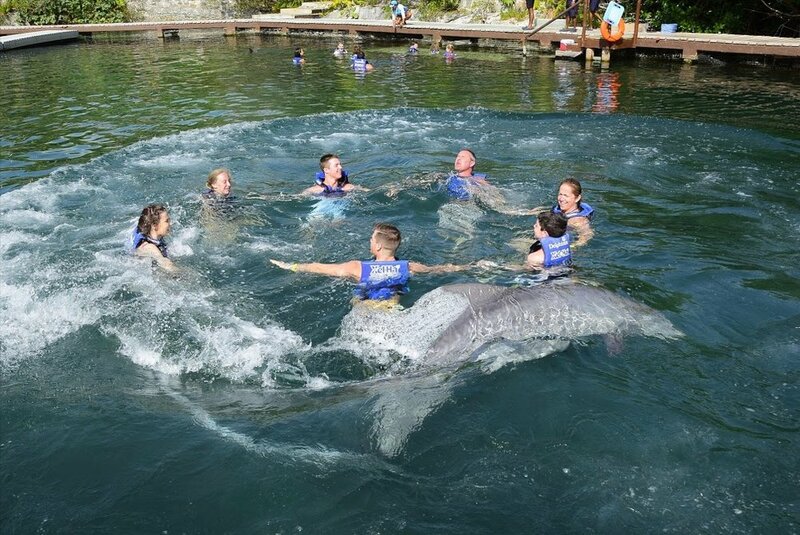 The first excursion we did was a Couple's Dream Swim with the dolphins. This was hands down the best part of the vacation (aside from soaking up the sun and just relaxing) and an experience that neither one of us will ever forget! They are such beautiful creatures and so smart! We highly recommend that if you are going to do the dolphin swim (which you should) paying to do the couple's swim. 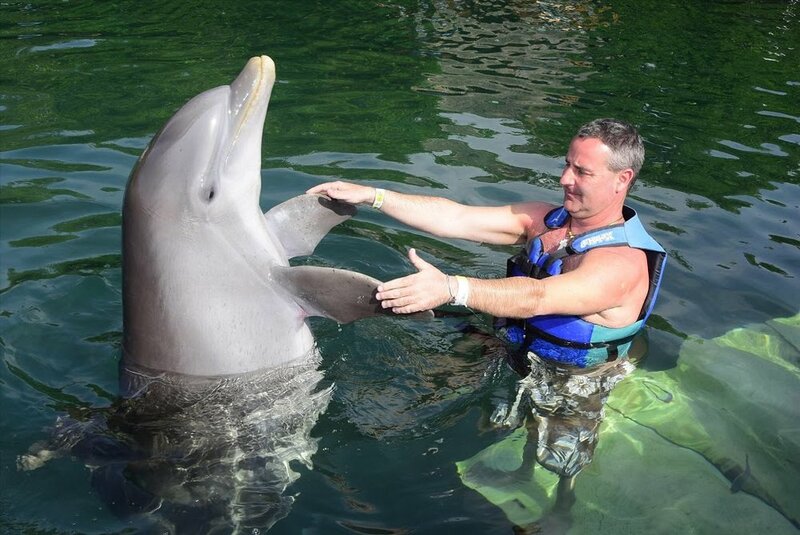 You get one on one time with the dolphin instead of having to share the time with a larger group. The other excursion we did was Chichen Itza. Being able to visit the ruins was a great experience and one we can cross off of our bucket list. It's amazing to get to see all that remains from such a long time ago and all that the Mayans were able to build. That alone is impeccable and unbelievable. The only downfall was that we were gone all day and we're pretty positive that our transfer drove 50 km below the speed limit for about an hour to make sure that our tour guide could say absolutely everything he wanted to. Overall, our experience was definitely one for the books and we can't wait to go back. Next time we'd chose a different resort just so that we can experience another all inclusive and see what they have to offer. But any trips that we do plan in the future we will definitely be going through Nikki and seeking her help because she helped make this trip as amazing as it was. We cannot thank her enough! So THANK YOU NIKKI!!!! It was such a great experience working with Nikki on our first trip to Riviera Maya Mexico for Spring Break in 2017. Our direct flight on Miami Air out of Lansing, Michigan to Cancun, Mexico was extremely convenient and 3 1/2 hours later we were in 80-degree weather for a week! Filling out the customs forms on the plane made it easy to get through the lines and to our luggage. Knowing how easily we could find our van driver to the hotel (thank you, Nikki) allowed us to arrive at our hotel in less than an hour from the time we landed, went through customs, gathered our checked luggage, and were sitting in an air conditioned van. The ride to the Royalton Riviera Cancun Resort & Spa from The Cancun Airport was about 15-20 minutes. Traveling as a family of five, with two teenagers and a tween, safety is of utmost importance. I never once felt concerned about their safety, or mine. There were two gates to go through to get the resort, nearly 1 .5-2 miles in from the main road. Once there, there was so much for the teens to do from activities nightly at the teen club, swimming, beach volleyball, pool games, Zumba, Aqua Kickboxing, non-motorized water sports, nightly shows, etc. My 12-year old daughter was able to join her teenage brothers in the Teen Room (ages 13-17) by me making a copy of her passport and signing a permission form. 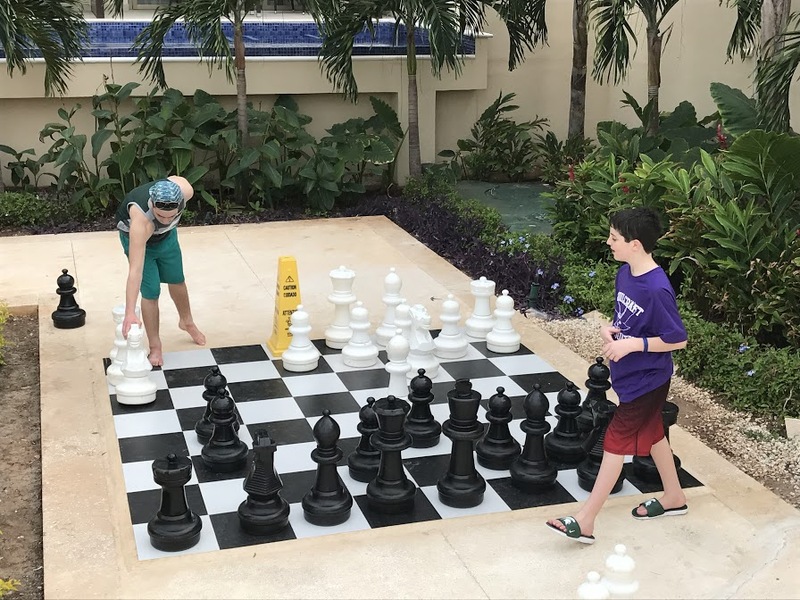 The kids (ages 12, 14, 16) were able to roam around the entire resort with ease and again, with a parental feeling of safety and security. The rooms, grounds, pools, and beach were well maintained. The view of the Caribbean Sea and multiple pools each day along with the 80+ degree tropical breeze was breathtaking and so welcomed after a long, Michigan winter. 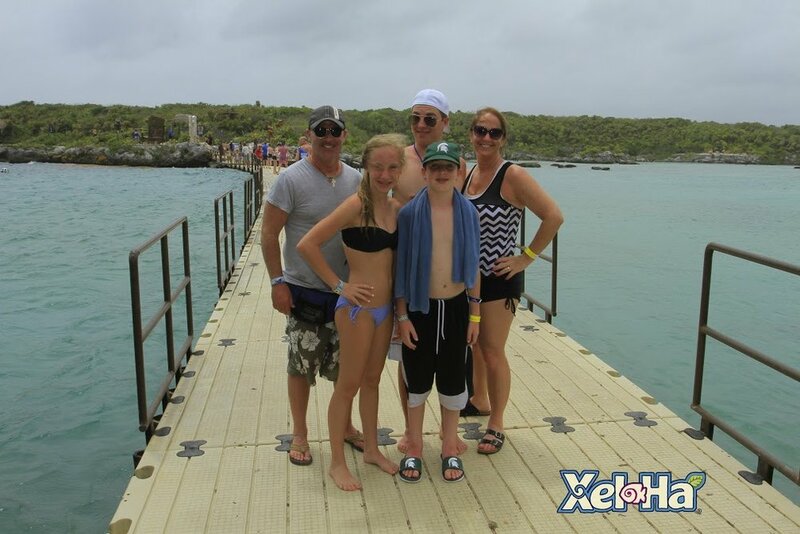 One day we took an excursion, an hour and twenty-minute was drive by van, to Xel-Ha. 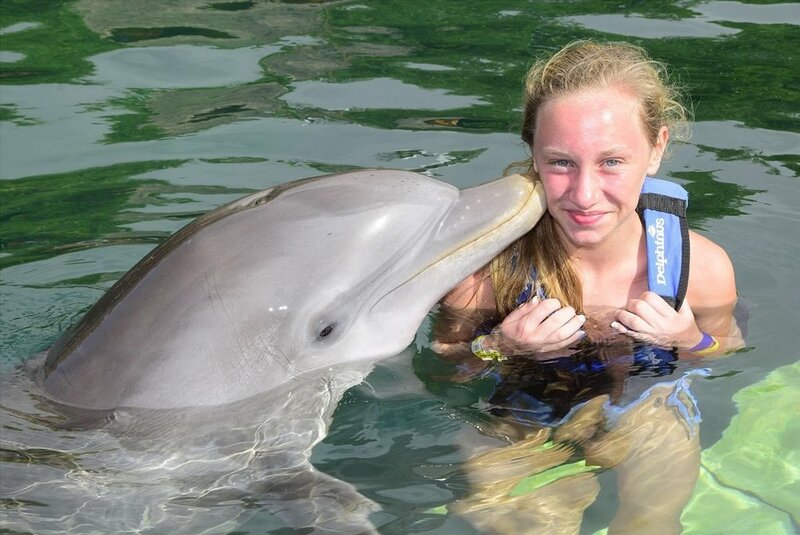 There, we all swam and snorkeled with dolphins, went tubing, cliff jumping, hiking, and zip lining into the water. There were beautiful walkways with bars and a restaurant and other places to sit and rest by the beautiful blue-green water. Our kids loved this day! It was a full 12 hour day (7 am to 7 pm) from the time we left our hotel to the time we returned, but it was well worth the extra excursion cost to go, at least with our ages of children. My daughter and I had a beach massage one day. If you show up to the spa early, you can sit in the steam room, sauna, and hot tub, which we did. The most incredible massage ever was listening to the sounds of the waves crashing while the tropical breeze engulfed our cabana. I would definitely recommend this for anyone that really wants to relax. We loved hanging out by the various pools for all ages and moved to a different one each day. The wait staff was great and very accommodating and we would recommend tipping $1.00 minimum for each visit they make with drinks. Bring lots of $1s. We had to get $1s at the front desk daily. 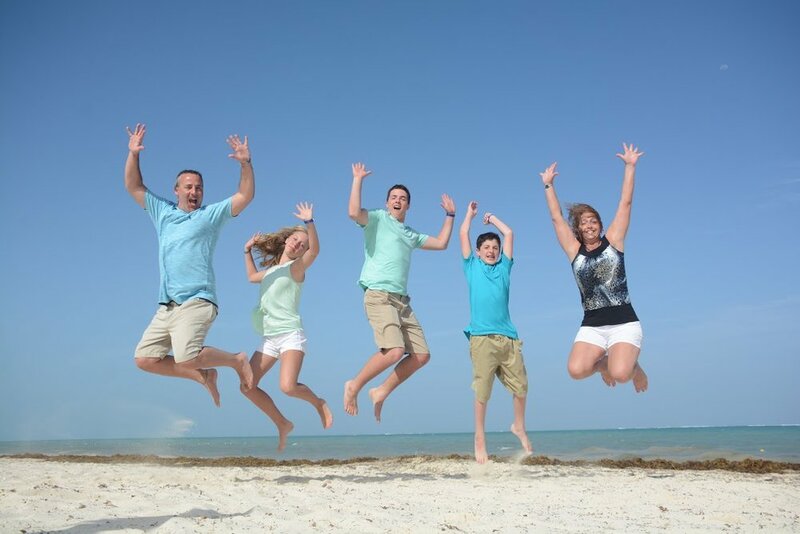 Overall, vacation far exceeded our expectations for this family of five! We will be returning to Mexico in future years for our spring break adventures. 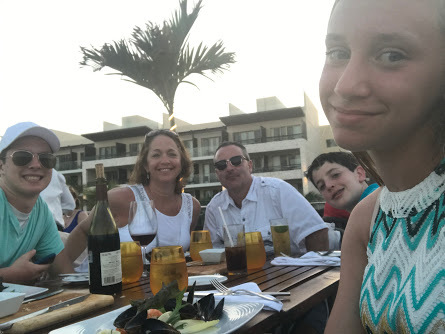 Nikki, thank you so much for helping us arrange our family vacation to the Royalton Riviera Cancun in Mexico! I think this was one of our favorite family vacations ever! We couldn't have found the perfect resort, and vacation package without you. We had an AMAZING vacation. The weather was perfect and we loved the Royalton! Our girls loved the vacation as well! Best Day Travel were kind and helpful during our transfer to the resort, even if it was a little difficult to find their booth and communicate that we had arranged our transfer in advance. The Royalton Resort far exceeded our expectations. The resort was beautiful. Our room wasn't ready at 3pm so they gave us an upgrade to a room with a rooftop jacuzzi. 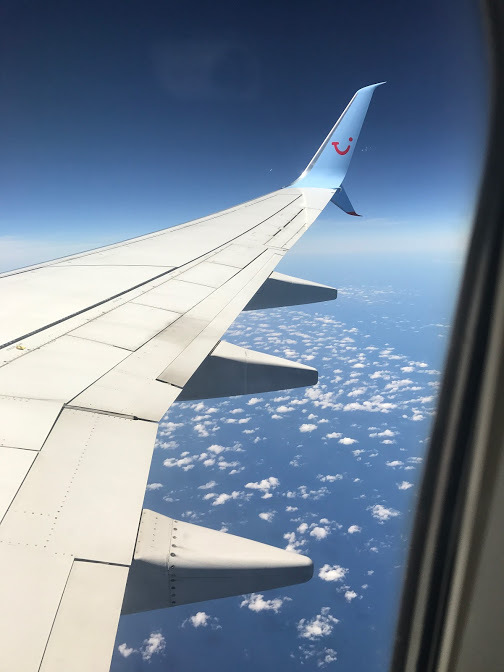 We did have some timeshare people hound us a bit when we were waiting to check in, but we followed your advice and once we said we weren't interested they left us alone. We figured out who the time share sellers were and avoided them the rest of the trip. Our room was beautiful, very clean and the bed was so comfortable! The girls were on a pull out sofa that was small with very thin mattress. It worked fine for them, but anyone larger or older would likely not be comfortable on the pull out. We were on the 4th floor of building 9 and we had a view of ocean. It was a bit of a walk to other parts of the resort, but we didn't mind at all. The food was fabulous!! The restaurants were all really good and the service was top notch! We figured out after the first night that it was best for us to eat at 6:00 when restaurants opened for dinner, because otherwise there would be long waits. The website says no reservation, but there were obviously "diamond" customers who had reservations. We are at the buffet for breakfast and it was HUGE and had so much food. I gained several pounds over these few days. The girls loved the Gelato machine in the coffee shop and ice cream in the buffet. The pools were all fabulous! Very well maintained. The had daily entertainment and music. The swim up bars were nice and kid friendly. They had a foam party that my girls absolutely loved. The wait staff around the pool was great and constantly bringing by bottled water and taking drink orders. We learned after first day that it was helpful to mark your spot at pool/beach early in the morning. The spots went quick. The beach was beautiful as well. It had wait staff, nice chairs and covered beds and pergolas that were nice. They dragged the beach with a tractor every morning to get rid of the seaweed that came up overnight. There was access to non motorized water sport activities. They did require $3/person fee for some marine fee- but they gave you a bracelet and it covered you for your entire stay. Lastly, the nightly entertainment was fabulous! The had a family friendly kid show at 8:00 and then another show (that was more grown up, but still family friendly) at 9:00. We saw great shows that were similar to shows we've seen from Cirque. We saw fire shows, Michael Jackson impersonation shows, drum shows. All were great! There was a kids club that we did not use. During the day they brought around unique people/animals that they would take your picture with (Aztec Indians, Parrots, huge birds). The girls loved holding the parrot and having him sit on their head. They had photographers around the resort that would take your pictures and then you could go to their store and purchase them. Thank you again for helping with this family vacation, the memories will be with us forever.